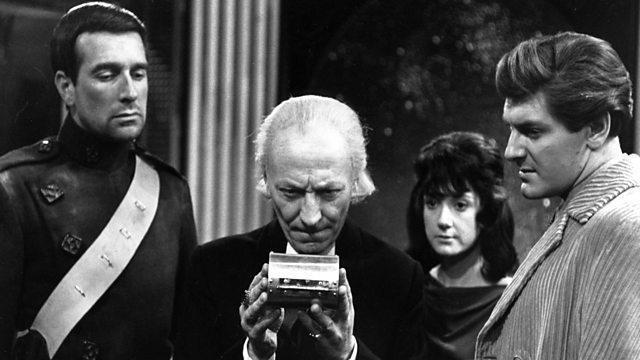 The Daleks’ Master Plan is an epic adventure. 12 episodes over 3 months and totaling over 5 hours of screen time. Sadly, this episode is one of only 3 episodes out of the 12 to remain in the archive and still available to watch. ‘Escape Switch’ is the tenth episode of the twelve and you begin to feel a sense of the story quickly approaching a dramatic conclusion. 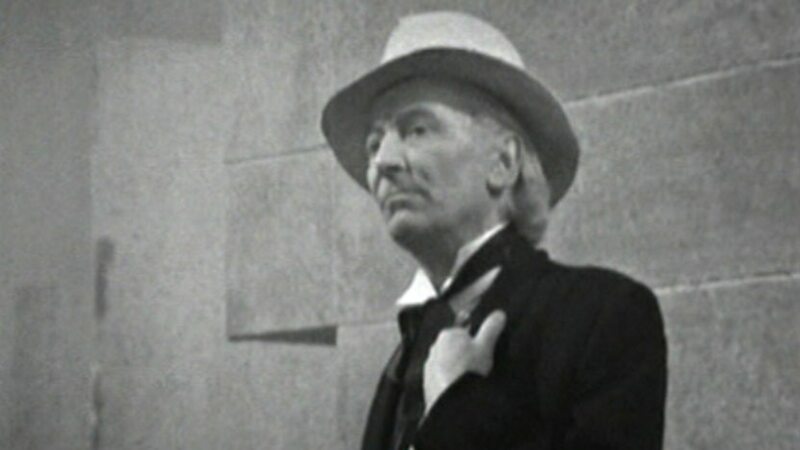 William Hartnell is a delight to watch, powerful and full of gravitas when confronted by the Daleks, his seriousness convincing the viewer of the gravity of the situation but also mischievous when delivering lines such as, “I don’t care if he’s in Timbuktu”. His hat is also very Fifth Doctor and he even dons a pair of glasses when working on the TARDIS, something replicated by Peter Davison and later David Tennant’s Tenth Doctor. It is probably highly unlikely that this would’ve influenced Davison’s use of these items but it is amusing to see the original Doctor preempting what would later transpire. 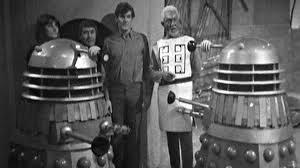 As the story continues the Doctor continues to thwart the Daleks and Mavic Chen having stolen the core of the Time Destructor back in episode two and having already handed over a fake Taranium core in episode 6. In order to flesh out this part of the tale the Meddling Monk was added, masterfully brought to life by Peter Butterworth who would feature in a number of ‘Carry On’ comedies. His comedic talents are obvious when seen emerging from a sarcophagus for example, but it is little moments such as his reaction to turning a corner to see the Daleks which delight and add that touch of class, further convincing the audience that the Daleks are a fearful opponent. The ambition of the William Hartnell era seemingly knows no bounds. This and the previous episode ‘Golden Death’ are set in Ancient Egypt. The story has already featured the planets Kembel, Desperus and Mira, Earth on Christmas Day and even Hollywood in the 1920’s. It really seems that anything is achievable. With the exception of material taken in Hammersmith Park, around the back of BBC Television Centre, the entire story was recorded in a studio at either Ealing or at Television Centre. It is, therefore, a triumph of the production team to deliver a story of such epic scale at a time when the filming schedule was frankly murderous, season 3 consisting of 44 weekly episodes. Images of the futuristic Daleks among the historic pyramids of Egypt, even if they are still being constructed, are a perfect example of the essence of Doctor Who’s continued success. The programme is capable of skillfully combining fantastical science fiction with history and our modern world in a manner no other television show can match. Sadly, the ancient Egyptians are no match for their powerful weapons and the Daleks return to their plan to activate the Time Destructor.